The countdown to music festival season is on. Star-strewn line-ups have officially been announced for the big-hitters like Coachella, Lollapalooza and SXSW – and thousands of festival fans are eagerly counting down the days until they see their favourite acts performing live. While festivalgoers focus on the fun, the event organizers and operators are battling against a complex web of diverse exposures. Music festivals are unique in the sense that they have “virtually every exposure imaginable,” according to Mike Kelly, media loss control manager at ProSight Specialty Insurance. They’re different to many other live entertainment productions (such as concerts, motor racing, traditional sports, etc.) in the sense that they’ve evolved from relatively simple outdoor concerts with one or two stages to massive operations with diverse and increasingly complex ranges of entertainment. Modern music festivals can attract over 100,000 patrons per day. Therefore, they have virtually every exposure you might find in a town of a similar population, according to Kelly. This can include medical issues, assaults, exposure to excessive heat or cold and drug abuse. Such gatherings of large numbers of people have also become targets for mass violence and terrorism, but these types of catastrophe events – although highly publicized if they do occur – are not very common. Rather, the common loss trends at music festivals are consistent with those experienced in the general population. 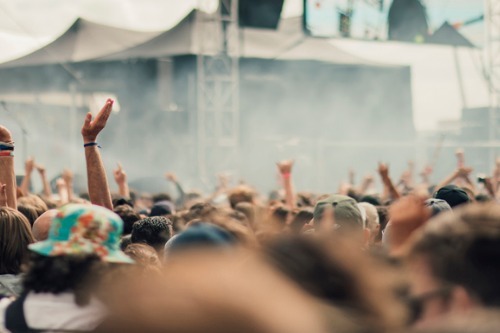 According to Kelly, the most common losses to come out of music festivals include insect bites, minor cuts and abrasions from slips and falls, twisted ankles, food related illnesses, alcohol related illnesses and injuries from altercations. It’s also quite common to have claims from the crew related to their use of and mechanical equipment or golf carts. Festival promoters can minimize their exposure to allegations of negligence around drug or alcohol-related incidents by transferring their risk to properly insured third-party vendors and by implementing best-practice policies and procedures, such as comprehensive pre-entry inspections, to ensure the safety of festivalgoers. Experience is key when it comes to insurance brokers transferring risks for music festival clients, according to Kelly. He suggests brokers employ a certified safety professional with specific industry experience so that they can discern the difference between the promoters that are implementing risk control-related policies and procedures that meet or exceed industry standards and best practices from those that don’t.